If you are reading this before the most spectacular, earthshaking event of the history of the planet has ever witnessed, then thank God you were led to read this before that event happened. The Guide will help you in seeing what others won't be able to see, it will show you predictable events that with advanced warning and alertness you may be able to escape these horrific-events. If you are reading this Guide after this great event, the Rapture, you now know what you have heard about the "end-times" is true. This is your opportunity, right now to have a personal miracle that will save you from perishing. You are encouraged at this time right now before reading any further to go to page 96 and say the prayer with conviction, mean it with all your heart, go now. The Guide is a literary-prophetic-picture of the next seven-years of the darkest events the earth has ever seen. The evilest, the most diabolical, satanic-period of man's history on planet earth. The Guide is to motivate the reader to partake in a new awareness of these troubling times and turn to the Truth. James Woods II a graduate of Shiloh Bible Institute where he was extensively and in an expository-manner taught the Word of God in Biblical knowledge and in Biblical truth. His previous book Where Demons Hide is filled with spiritual-knowledge of what is taking place in societies and cultures in the world today. Evil never rest and has been going on since the beginning of man's creation and will go on until its appointed-time of its demise, soon, there will be no evil. For further reading into the spiritual-realm and more on demonic-influence read; by this Author; "Where Demons Hide" in the spiritual-realm where demonic-activity exist. Visit Christian Reading for further information. Having had a near death experience in her early 20’s, Selina returned to her body with a clear awareness of having had passed over and traveling through the tunnel of light at breakneck speed. The colors of heaven were vibrant and the flowers, trees, plant life were alive with color and vibrating energy that emanated from them much like circular waves. The serenity was indescribable. Selina’s paternal grandmother who had passed over a decade earlier met her at Heaven’s glorious gate. The conversation was brief and Selina’s grandmother said that is was not time for her to stay and that she had to go back and return to physical form. Selina returned to her body back through the tunnel of light at the same speed that she traveled at the first time and landed with a thud much like one does a belly flop when diving into a pool. Shortly thereafter, a process of automatic writing began to manifest at the most unexpected times. Selina would have no clear intent of what she planned to write. She would hold the pen over her writing paper and messages of spiritual and life wisdoms would come through. There is healing in the spoken and written word. It is Selina’s wish that there may be insights within these writings from Spirit that may benefit you. The writings cover a range of topics, including happiness, love, anger, maturity, general observations, relationships, self discovery, and empowerment as well as spiritual and religious perspectives. Soulfully Speaking Is Available at Amazon. Part scriptural analysis, part compassionate musing, and part academic study. Back to Eden brings together academic research, Christian theology, and universal human emotions to examine how our financial status affects our way of life and our treatment of others. Starting with a broad analysis of how certain scriptural passages can be interpreted through the lens of our human capacity for love, compassion, righteousness, and humility, author Dr. Thiessen moves with increasing specificity into a detailed, succinct, and thoroughly researched examination of how our perspective towards those less fortunate is directly related to our relationship with God, not to our financial portfolio. For those who seek to deepen their relationship with God and to better understand how His teachings encourage compassion, generosity, and open heartedness, Back to Eden not only provides the academic and scriptural foundation to accomplish this, but it also weaves each lesson through a prism of human experience, allowing these teachings to be understood and identified by any who are willing to learn. Through deep analysis and thoughtful consideration of theological literature and select scripture, Dr. Thiessen’s work weaves a story that aspires to educate, enlighten, and inspire. Order your copy of Back To Eden: A Biblical Perspective on Wealth and Poverty at Amazon. This book discusses whether the devil, or call him what you like, actually exists. It gives a detailed discussion on the pesky lost souls that cause troubles and illnesses to many people. There is a brief discussion on the present residence of hell. 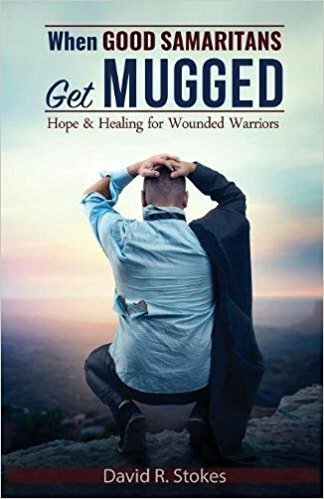 When Good Samaritans Get Mugged: Hope and Healing for Wounded Warriors, by David R. Stokes invites readers on a delightful road of forgiveness to thriving in every way. Connecting the dots, the author leads readers through the art of storytelling, as Jesus did, to the discovery of grace (through Christ) and relates what that means for us. More than any inspired sermon or theologically correct teaching, there’s but one, prevailing message which clearly emanates throughout the entirety of the scriptures: Our loving, Heavenly Father is desperately yearning to touch his broken and fallen creation! Before this can happen, however, from the chosen mouthpiece of a prophetic, firstfruits company, there must first and foremost resound an eye-opening message of earth-shaking significance, for the somber, sleeping church—which he shall ultimately work through—must first be awakened into the image of God! A splitting of the Adam must eventually take place within the ever-longing hearts of his beloved children! Yes indeed, my friend, a splitting of the Adam must inevitably take place within you! Join us now, if you dare, beloved, as author and teacher Don Felumlee proclaims a fresh, divine perspective of the coming of the Lord! 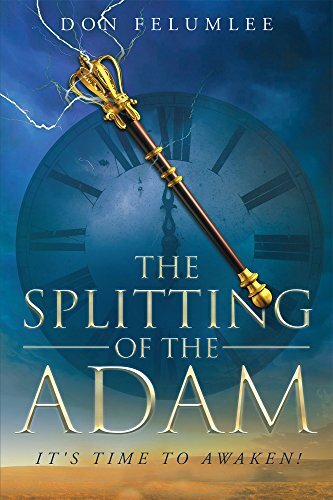 Get your copy of The Splitting of the Adam at Amazon. According to scientists, the planet is 4.6 billion years old. Yet the Bible says that this planet Earth is only six thousand years old. But what if both were right? What if there was an analysis of creation that combined science with scripture in the search for truth—yielding a unique and provocative conclusion about life’s beginning? In The Re-Creation of Planet Earth and the Real Account of Life’s Beginnings, author Brian Donnelly explores just this integration of science and biblical truth to provide a more realistic account of creation and re-creation. Brain addresses the ongoing debate between creation science and evolutionary biology, and he shows how creation is more viable than evolutionary theory and the big bang. 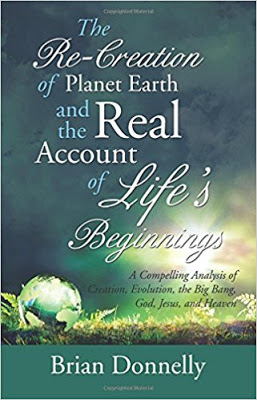 The Re-Creation of the Planet Earth and the Real Account of Life’s Beginnings also speaks to the life and ministry of Jesus Christ, and it provides a detailed description of what heaven is like—an account supported by scripture and near-death experiences. For more information about The Re-Creation of Planet Earth and Real Account of Life’s Beginning visit Author Brian Donnelly. The world sees very little difference between the person who calls himself a Christian and themselves, when the Christian tries to imitate them by not completely telling the truth, or doing things that are wrong. What is the problem? This type of person is applying an action, e.g., “I’ll try it,” but God prescribes it as a lifestyle. The secret to having a changed lifestyle, is to have your mind renewed. The Lord is the One who has to do this, as seen in Psalm 23:3. He will cause the renewal to take place in direct proportion to how much time you spend in the Word, and in prayer. Your mind will not stay renewed any more than your hair will stay combed, you must keep in step with the Holy Spirit. This new lifestyle becomes a reflection of Him, because it’s demonstrating the fruits of the Spirit. A must read for married couples - The Hidden Puzzle in Marriage: The Twist Against Choice by Samuel Adjeipong unlocks secrets from a Biblical perspective to reveal the purpose, creation and institution of marriage. Offering readers a deep understanding of marriage, the author has written a detailed book that gives married couples and single individuals leading and instruction on God’s grand design. Tying the marriage institution to the first marriage of Adam and Eve in the Garden. Shedding light on why some marriages are strong, and why some fail, readers will appreciate this book as it gives the pathway to a bright and hopeful future with God, His grand design for your life and the institution of marriage. 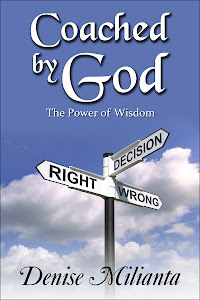 Unveiling a twist to choice that is in submission to the will of God, the author delves into the mystery of the Word of God, as God made woman from man. Digging deeper into the meaning of this creation of woman, the author also asks intricate questions in the book such as: “Can it be possible that God Almighty had the forethought of our satisfaction, contentment, and fulfillment in marriage when He initiated it in the Garden of Eden?” “And also what are His thoughts of intimacy in marriage?” “Can intimacy be nurtured?” “Should the choice of a spouse be my own or God’s” With these thoughts in mind, the author then considers the “puzzle” of marriage and how the pieces fit together between a man and a woman from a multi-dimensional view. Excerpts from the Bible examine the lives of Abraham and Sarah, Rebekah and Eliezer, Ruth and Boaz, Jacob, and others to give further insight into the will of God and choices made from a Biblical perspective, providing insights into keys for success of marriage – unveiling heart attitudes and motives. Additionally addressing issues that singles and married couples face, the understanding of intimacy, and what makes a marriage thrive makes for an enthusiastic read designed to assist singles to be placed with their right mate and help couples connect, reconcile, and come together through prayer as one. A highly recommended and insightful must-read for those considering marriage that includes young adults, singles, and couples. Order your copy of The Hidden Puzzle in Marriage: The Twist Against Choice at Amazon or as a download in Kindle. You may visit the author at Samuel Adjeipong. 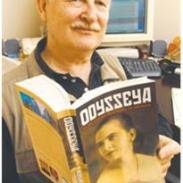 Multi Published Author Jeff W. Horton was an Information technology professional for twenty-five years before deciding to pursue his lifelong dream of being a writer. 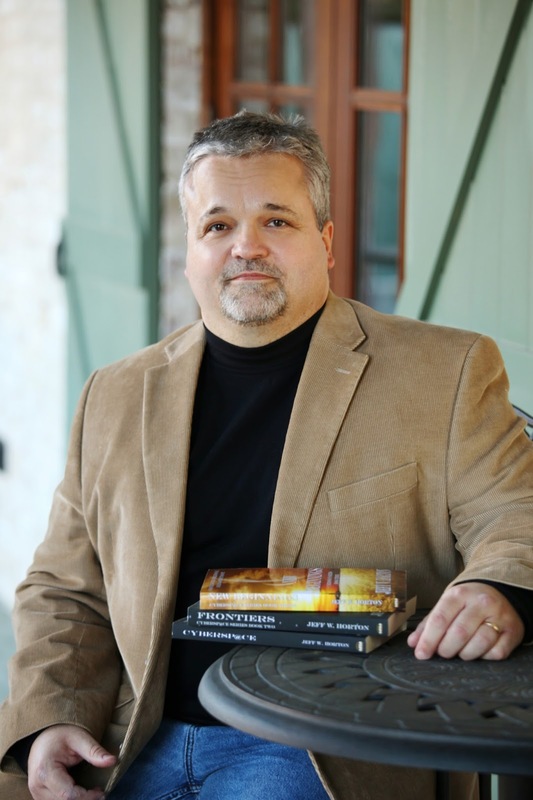 Since becoming an author and screenwriter of family-friendly fiction, Jeff has written two screenplays and eight published novels in several genres including apocalyptic-fiction, science-fiction, religious fantasy, and romance thrillers. 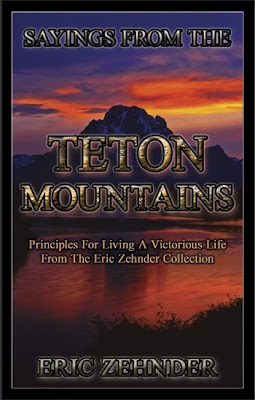 For further information visit Jeff’s Horton’s Amazon page where you can view all of Jeff’s books. Psalm 40:2 He also brought me up out of a horrible pit, out of the miry clay, and set my feet upon a rock, and established my steps. Once a five year old girl was told not to go into the woods, but went anyway. Sometime after she returned her mother noticed that her little body was covered with a rash, and realized it was poison oak. She told her that the rash was the consequences of disobeying. Later the rash became worse, when the Doctor looked at her he asked, “What have we here?” Her response was, “The consequences.” In our own lives we see forgiveness given for things, but this does not always remove the consequences. The above verse shows that consequences don’t have to last forever, because God can overcome them. The doctor overcame them for the five year old, by giving her some medicine. Go to the Lord, ask for forgiveness, then ask Him to help you overcome the rest of the consequences in your life. Finally, a book that breaks through with solution-focused answers and proven ways to battle depression and suicide. 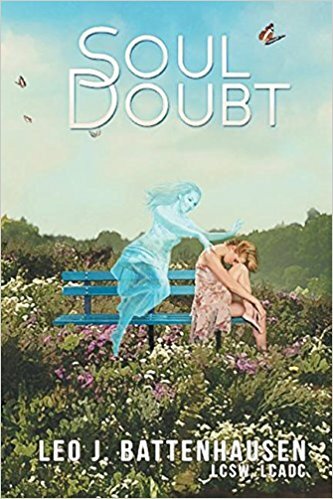 Soul Doubt by Leo J. Battenhausen, as an author and psychotherapist, discusses the overwhelming and detrimental impact that depression and suicide are having upon society in the United States. Additionally stating alarming statistics from the World Health Organization (2016) that suicide and depression are presently at an “epidemic high”. The author also adds that the organization’s prediction is that by 2020 depression will be the most diagnosed disease after heart disease. Taking these facts into consideration, coupled with society’s views and attempts to “cure” depression with various treatments and drugs, bolster our culture that expresses itself as its own God. Selfishness, greed, media, government, and liberalism’s mantra have taken away from family and marriages like we have never seen before in the United States. With this in mind, the author makes an impressive statement – People need God and need to believe in God. With a focus on giving solutions to depression and suicide, intertwined with keen insight, he offers this book to help others recognize and be free in their souls from destructive thoughts and behaviors that are literally killing many. Giving an overview of healthy parenting and relationships that include marriages, the author explores the human condition and the soul. Offering a laymen’s view of the soul, he explains the doubts we possess in relation to satisfying the deep void within. Despite technical advances in this information age, the author shares that we as humans are not developing as we should and have forgotten who we are. Advocating that parents invest in their children in meaningful ways, to include their parenting skills, he also exposes a spiritual side to the issue of the mind, soul and emotions. Offering readers an understanding of the realm of the soul, a secular worldview is also considered. His position is that we cannot ignore our souls, which is the essence of who we are. What really wages war against our souls, will and emotions, the author has written a compassionate book that speaks frankly to believers and non-believers alike, sharing that there is hope and a solution to this soul problem. Well-balanced, informative, encouraging, his insight is an important work tackling the woes that plague our society, but more importantly offers real answers and hope that presents truth. This is a much-needed book in today’s society. As a skilled professional, he knows the human condition and speaks of the healing of the soul, mind and spirit. Presenting a wealth of knowledge, the spiritual battle, modern-psychology, the author offers real answers to those who are suffering or know someone who is suffering. This comes as a highly recommended must-read for all parents, married couples raising children, teens, young adults and newly married couples. Isaiah 54:13 All your children shall be taught by the Lord, and great shall be the peace of your children. Frequently the more you witness to your children, the farther they seem to pull away from the Lord. An idea is given in Luke 10:2, which tells you are to pray that the Lord of the harvest will send forth laborers into His harvest. God wants you to frequently ask Him to send others to your children. Instead of pointing out the things they are doing wrong, compliment them on what they are doing right. As their hearts start to soften, they will be more willing to accept what others tell them about Jesus. Expect God to honor His Word by teaching them what they have missed because of the humanistic educational system and news media that is controlling much of the World. Thank Him for the answers to come. Christian Book Marketing at Ning, for the Christian author. When it comes to editing a Christian book, use Christian Book Editing. 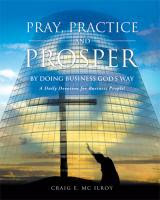 Visit the Christian Book Marketing Community and share your Christian Book.